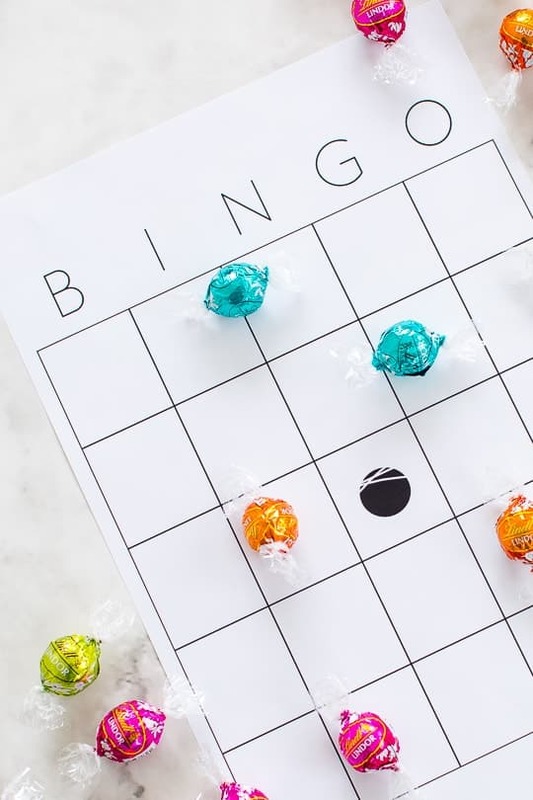 Sometimes things are cuter when they’re mini-sized, but in this instance, things are only getting sweeter with this jumbo DIY truffle bingo printable! 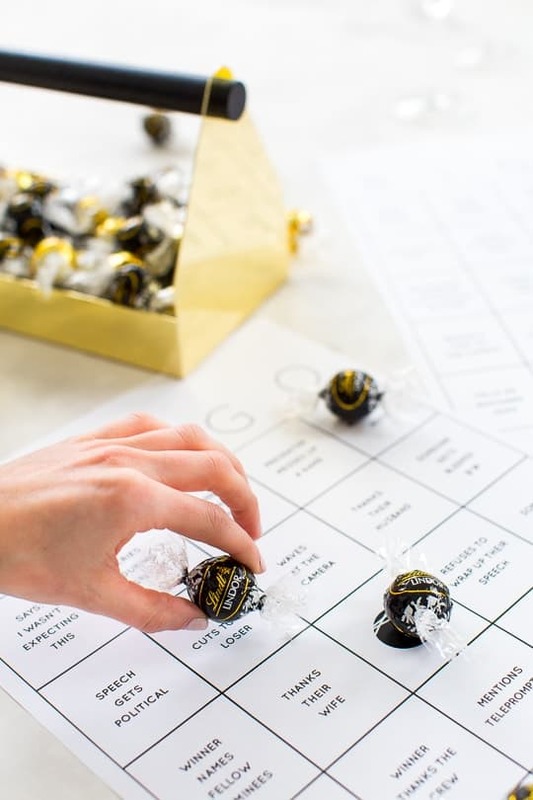 Okay, so it’s not quite jumbo per say, but it’s plenty big enough for you to get your LINDOR truffle on, while also keeping dibs on the upcoming Golden Globes action. 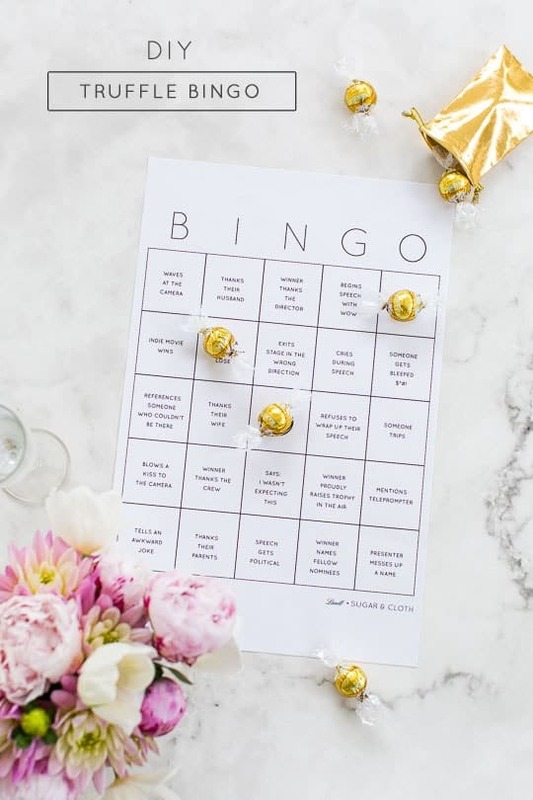 Though I prefer my LINDOR truffles to be completely engulfing me, I’ve also come up with a cute solution for passing out your truffle Bingo markers to watch party guests in case you’d like to take a more subtle approach to your awards show viewing. 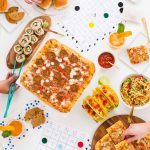 Speaking of which, we’ve taken it upon ourselves to link up to some of our favorite watch party ideas to give you the complete hurrah! 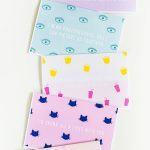 These printables are for personal use only, and may not be redistributed or sold. Download your preferred template(s), and then print them in black and white at size 11×14. 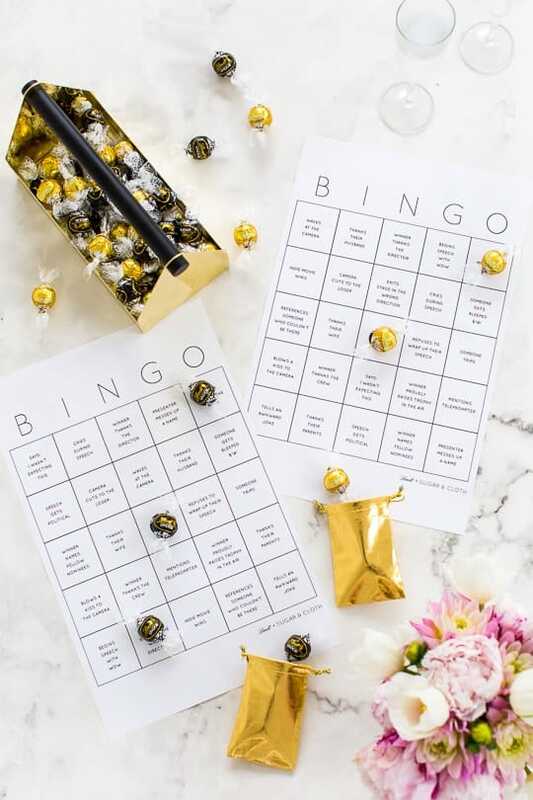 If you’re using the blank template, be sure to add the text to each box based on your theme, and make several variations of the same answers, but in different boxes so that not everyone has the same card! Since Lindt is the highest quality chocolate, I had to use a golden bag for extra glam to use for distributing the card pieces. 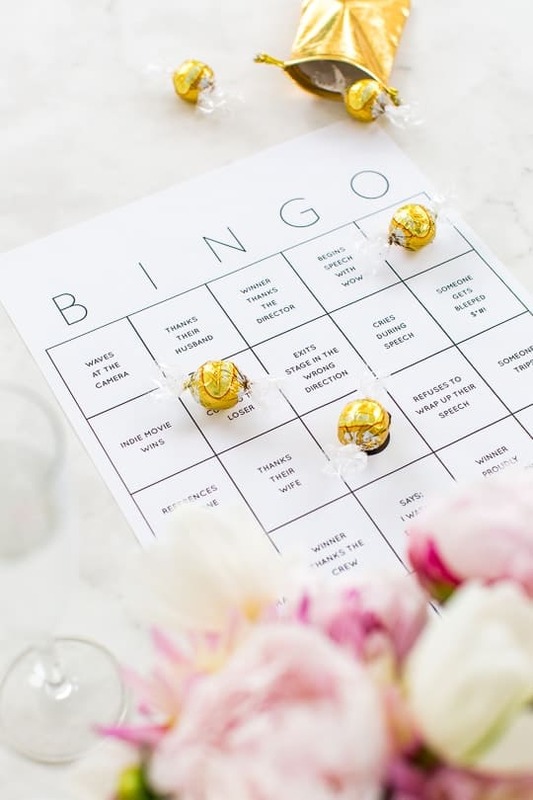 Give each guest a designated color of truffles along with their Bingo card so they don’t get confused about who’s is who’s, and up the anti with a prize for whoever calls Bingo first! 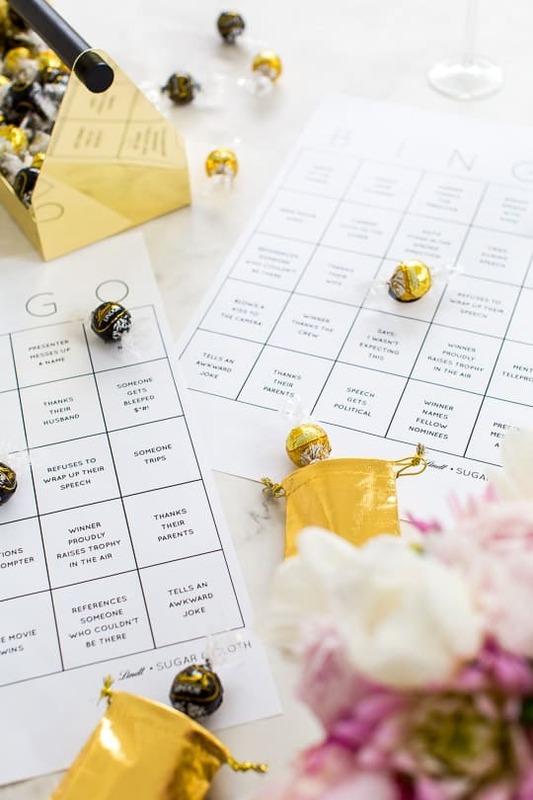 I stuck with the black and gold color theme using Dark Chocolate and White Chocolate LINDOR truffles for a sophisticated feel for the Golden Globes cards. For the blank template, you can get as crazy as you want with colors! 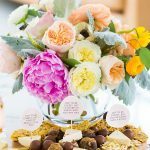 I chose the Citrus, Raspberry, Orange, and Coconut for a fun assortment of truffle colors and flavors! Since Lindt is the Official Chocolate Confectionery of the 73rd Annual Golden Globe Awards, these cards only seemed fitting, right?! They’re also the Official Dessert Sponsor of the Weinstein Company Golden Globes After Party, and word on the street is there will be a chocolate sculpture in the shape of the award making an appearance during the night. 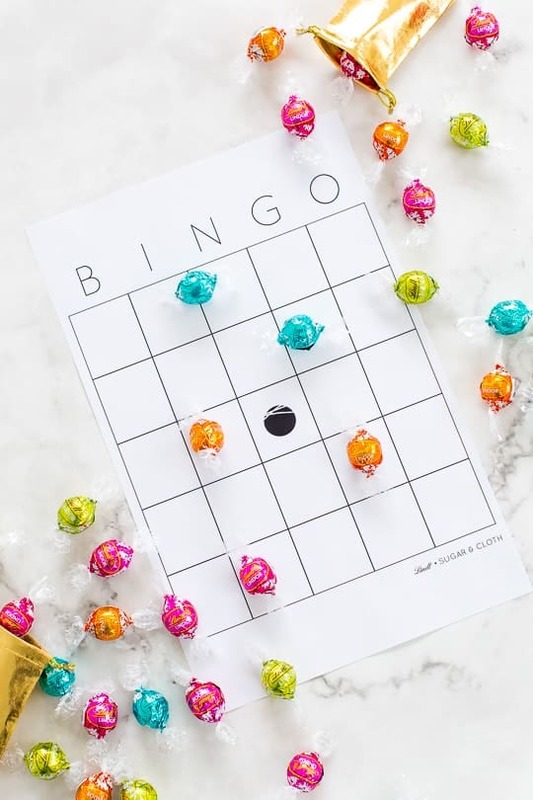 For the rest of us, let’s just close our eyes and pretend that our DIY Bingo is just as good though, okay? This post is made possible by Lindt. Thank you for supporting the brands we love that keep bigger and better DIY’s, and even sweeter sweets coming straight to your inbox! 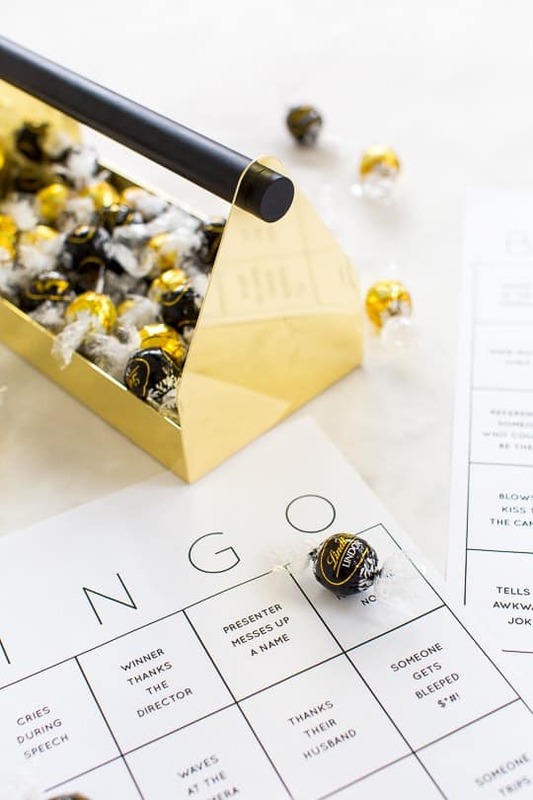 Be sure to visit Lindt.com for even more clever tips and how-to’s for creating a memorable at-home watch party. 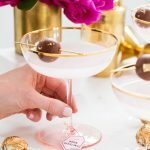 The Lindt Twitter Party will take place during the first hour of the Golden Globes, from 8-9PM EST. We’ll be talking all about throwing the best at-home parties as well as hot topics from the night (who really was Best Dressed??). 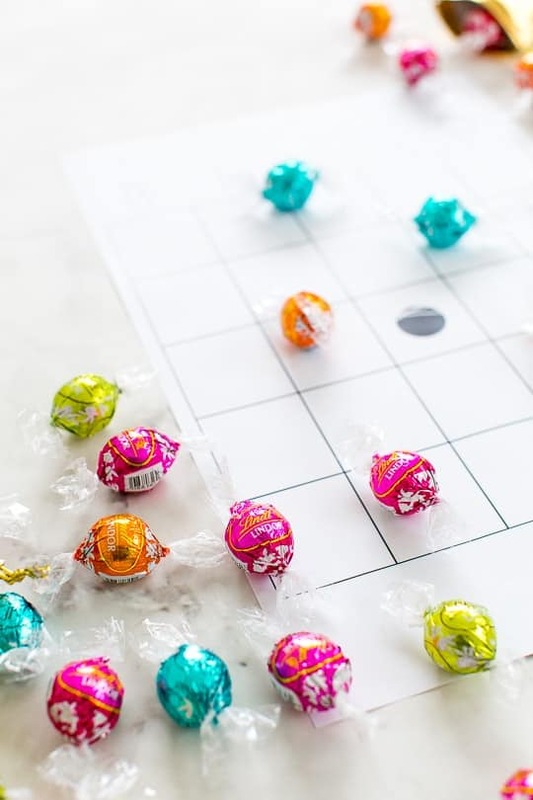 There will also be a chance to win Lindt Chocolate! If you want to join, follow @Lindt_Chocolate on Twitter and use the hashtags #LindtGoldenGlobes and #GoldenGlobes! I would love to know where you got that gorgeous golden tool caddy! This is adorable, and I love the colors on the citrus and raspberry truffles! So excited to use this! Well done! !